Antipolo City, Rizal– The Regional Disaster Risk Reduction and Management Office/ Office of Civil Defense (RDRRMC- OCD) IV-A, in partnership with the Rizal Provincial Disaster Risk Reduction and Management Office (PDRRMO) and Antipolo City Disaster Risk Reduction and Management Council (CDRRMO) would be conducting its 1st NSED at Bagong Nayon II Elementary School in Barangay San Isidro, Antipolo City, 19 March 2014. During the coordination meeting of OCD-RDRRMC IV-A held last March 14, 2014. 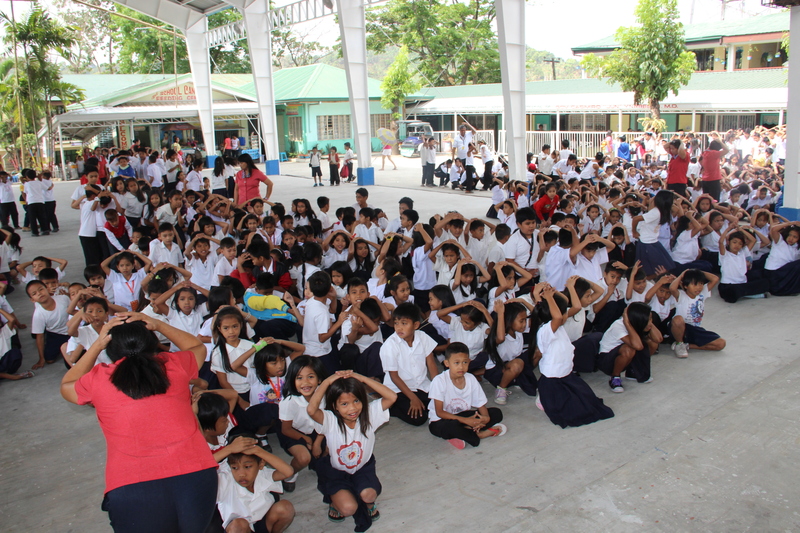 The earthquake drill would be conducted to assess and evaluate the preparedness and readiness of the school in times of disaster. Moreover, the drill would also serve as a venue to showcase the capabilities of the responders to react to certain earthquake scenarios provided. This is one of the government’s initiatives in enhancing the preparedness of schools through supervised earthquake drills and evacuation plan formulations particularly those living within hazard prone areas and near critical infrastructures. Antipolo City would serve as the Regional ceremonial venue for RDRRMC’s 1st quarter earthquake drill. Bagong Nayon II Elementary School has approximately 6,300 students, making it an ideal venue for the said drill. Series of coordination meetings and evaluations were conducted with Dr. Ferdinand B. Millan, Bagong Nayon II school principal and other school authorities to ensure that the event would turn out smoothly. In addition, a scenario would be provided by the Bureau of Fire Protection (BFP IV-A) to evaluate how the participants would respond to such situation(s). The activity would be overseen by RDRRMC Chairperson, Director Vicente Tomazar along with the four Vice-Chairpersons of RDRRMC: Director Josefina Castilla-Go (DILG IV-A), Director Alexander Madrigal (DOST IV-A), Director Agnes Espinas (NEDA IV-A), and Director Leticia Diokno (DSWD IV-A). Members of the Regional Disaster Risk Reduction and Management Council (PNP, BFP, DepEd, DOH, DPWH, and PIA), responders, Rizal PDRRMO, and Antipolo CDRRRMO would also be present during the event.